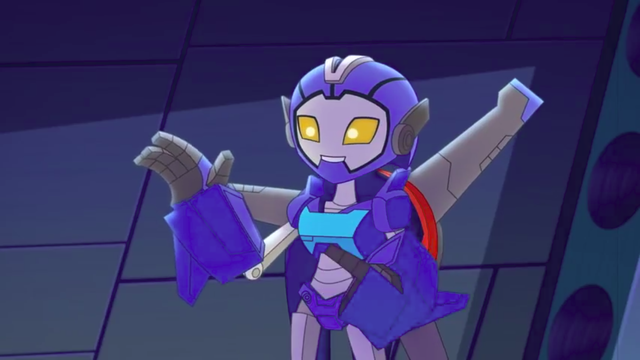 She's Fantastic: Rescue Bots - WHIRL! I've been really obsessed with robot toys lately. I literally just re-did a huge portion of my toy display with the sole intention of dedicating a lot more space to my burgeoning Transformers collection. I think one of the main reasons I feel so consumed by them is that I honestly never thought female robots would be something I could find in the action figure aisles. For a few decades it was quite a boys club. But now they are coming out with increasing regularity. This Whirl figure was a complete surprise to me when I found her in Target. She is from the new show Rescue Bots Academy show that premiered last month on Discovery Family. 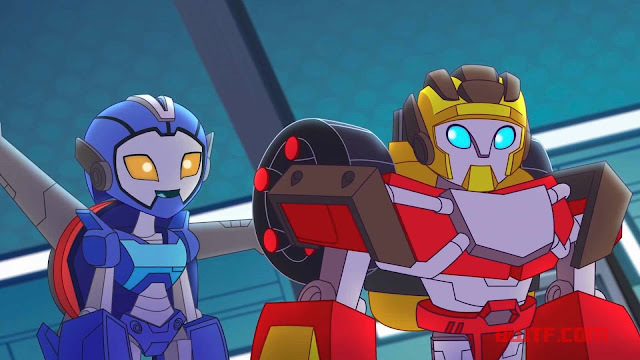 I haven't seen the show, but I love the design of this character and I'm excited to watch it when it's streaming somewhere (I imagine her to be energetic and spunky). I also expect to see more of Whirl in the toy aisle. My hopes are for one of the smaller scale figures eventually, and maybe even a blind bag or two. Time will tell. Let's check Whirl out in detail below! Her transformation is pretty fun. In one swift motion, her arms turn in, her legs merge together, and her head flips away. Then she's just a bellyflop away from being a helicopter. Here is Whirl the other female bot from the line: Quickshadow. Both her standard and 12" versions. Cool figure. I like the design of the Rescue Bots Academy line.